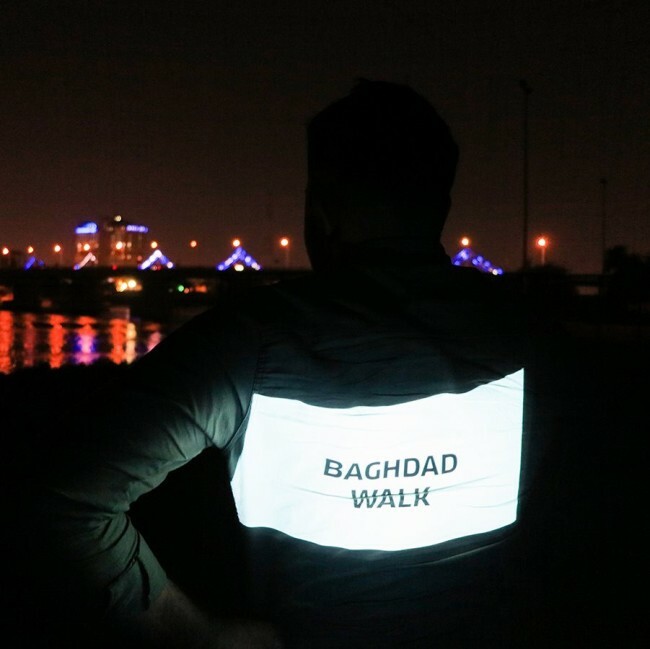 Hussain Muttar’s 1000 STORIES AND A STORY is based on his on-going research. 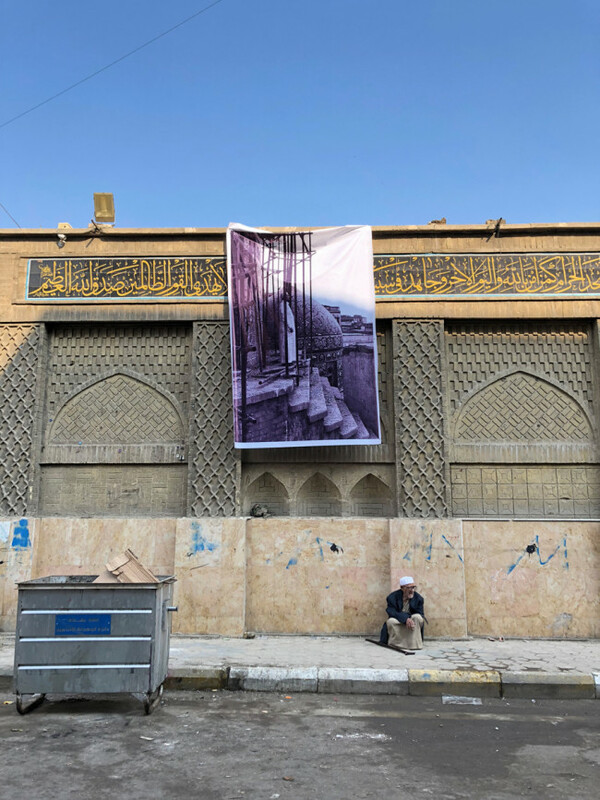 He collects historical photographs of Baghdad city views from archives as well as from private households and reconstructs the images in the present day, photographing the same location from the same angles and perspectives. 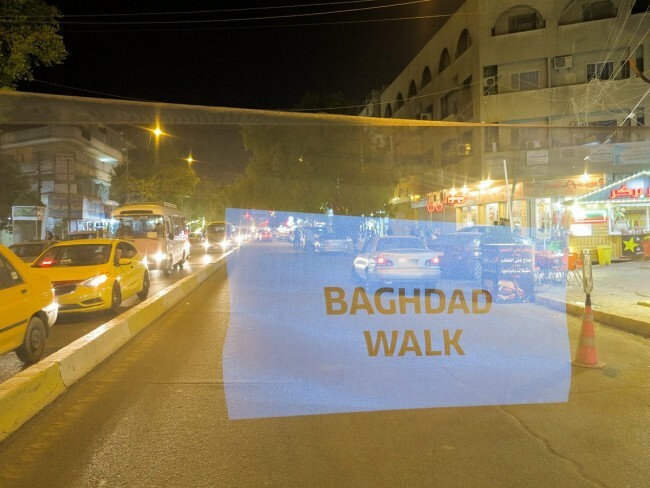 For BAGHDAD WALK, he chose to present comparisons of architectural landscapes, landmarks, and sights in Baghdad. 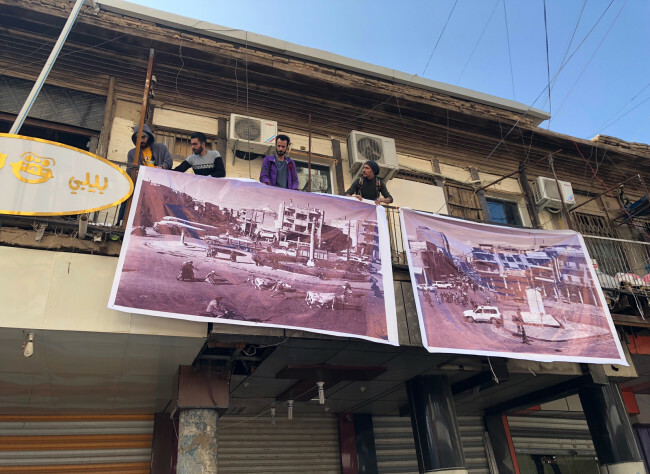 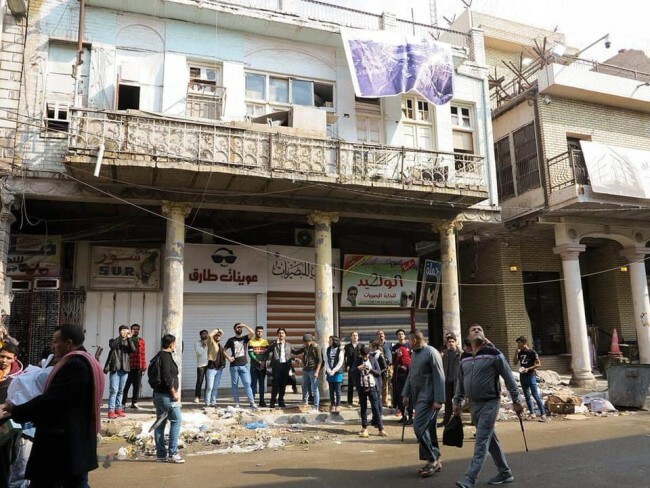 The work juxtaposes past and present, installing large posters of the historical and current photographs of facades and buildings of Al Rasheed Street along that very street, covering a distance of 2.7 kilometres from Zinek Bridge to Midan Square. 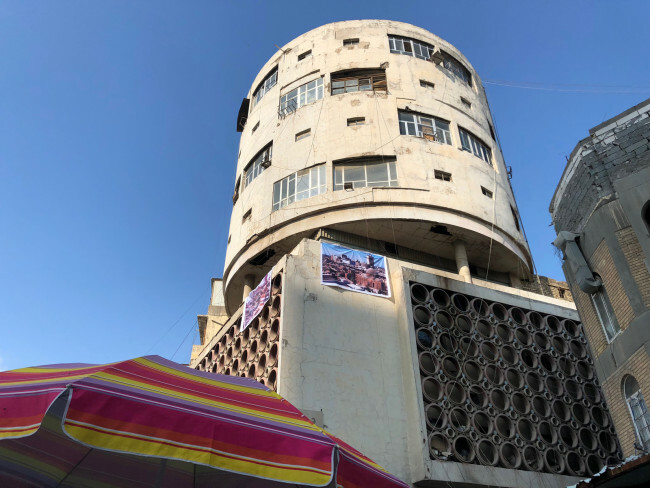 Muttar’s ambition is to raise awareness of Baghdas architectural heritage and to encourage residents to see their neighbourhood’s rich history. 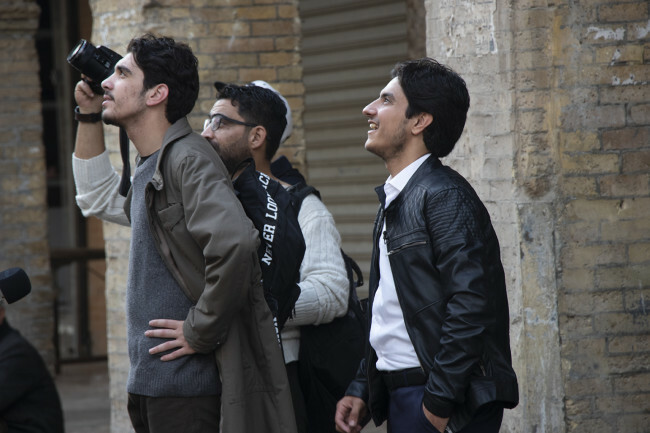 He involves the local community by collecting the photos and stories about the buildings and their use and function, and he depends on the cooperation of residents to access rooftops and sites in order to reconstruct the original perspectives. 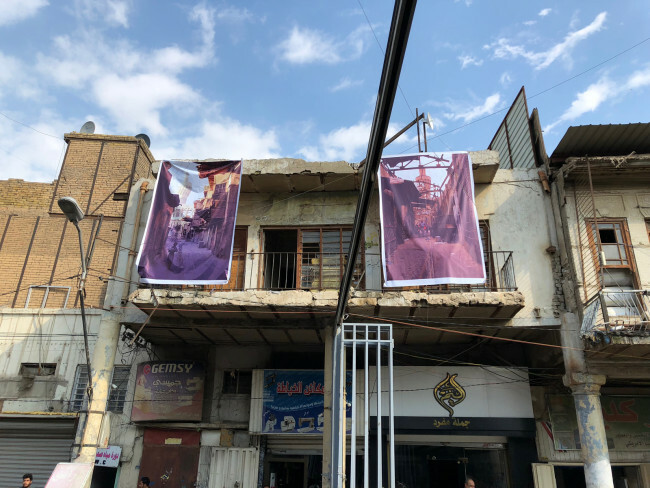 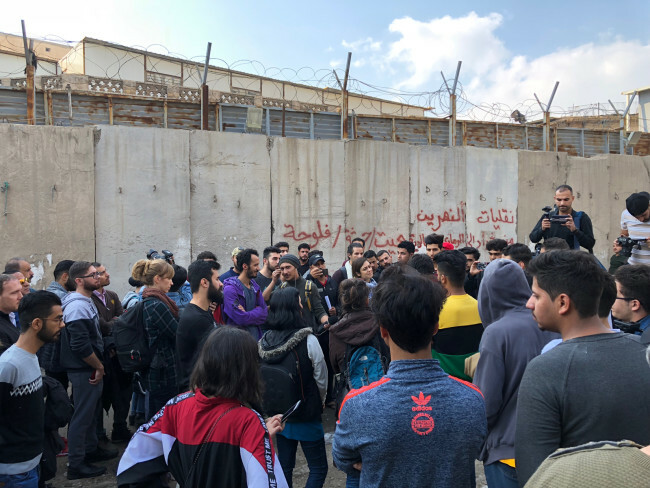 For BAGHDAD WALK, Muttar chose to present ten sites on Al Rasheed Street, not just to highlight the richness of architectural tradition, but also to emphasise how architecturally and historically valuable treasures dwindle away through human misuse and neglect.